Charlotte Bronte was born on April 21, 816. Her father was curate of Haworth, Yorkshire and her mother died when she was five years old, leaving five daughters and one son. In 1824 Charlotte, Maria, Elizabeth, and Emily were sent to Cowan Bridge, a school for clergymen's daughters, where Maria and Elizabeth both caught tuberculosis and died. The children were taught at home from this point on and together they created vivid fantasy worlds which they explored in their writing. Charlotte worked as a teacher from 1835 to 1838 and then as a governess. In 1846, along with Emily and Anne, Charlotte published Poems by Currer, Ellis and Acton Bell.After this Emily wrote "Wuthering Heights," Anne wrote "Agnes Grey" and Charlotte wrote "The Professor." "Wuthering Heights" and "Agnes Grey" were both published but Charlotte's novel was initially rejected. In 1847 "Jane Eyre" became her first published novel and met with immediate success. Between 1848 and 1849 Charlotte lost her remaining siblings: Emily, Branwell and Anne. 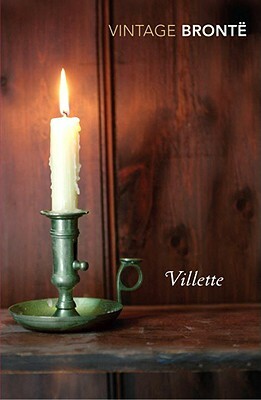 She published "Shirley" in 1849, "Villette" in 1853 and in 1854 she married the Revd. Arthur Bell Nicholls. She died the next year, on March 31, 1855."